Interested? Fascinated is more like it. Is this a one-off, or is there a factory somewhere that actually produces such a creature? And could I get a blue one? Both of which cost well over $3000 or $4000. No. it might not hold up for duties like 3-week long self-supported touring with camping/cooking gear but for around town grocery/breakfast runs it's been great for me and my 5'0" wife. Since the stoker sit in front, she doesn't have to stare at the back of my head, gets full view of the road. That is just plain cool. But tell me - why is there a GEICO caveman with a cowbell in your avatar? Nightturkey wrote: That is just plain cool. But tell me - why is there a GEICO caveman with a cowbell in your avatar? That's a pretty cool bike. Looks like it might be fun and as long as the wheels and components are decent quality, it should hold up to touring. Especially with a trailer. R42Pilot wrote: That's a pretty cool bike. 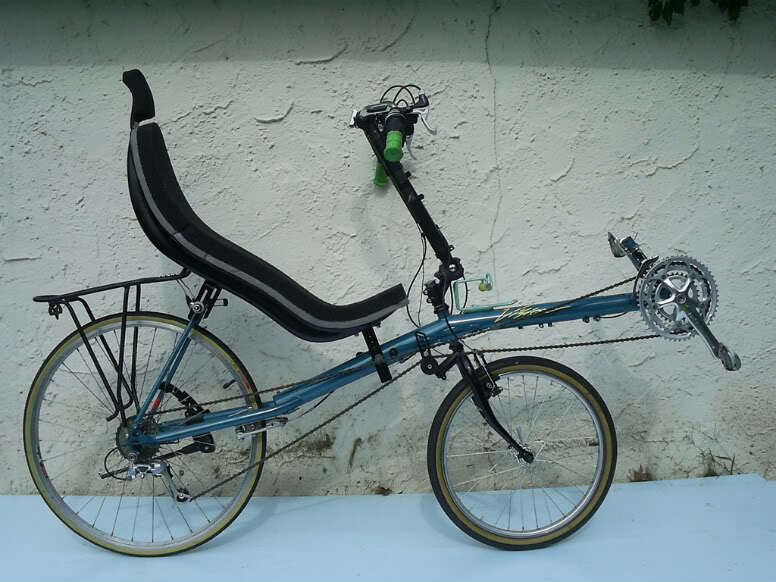 Looks like it might be fun and as long as the wheels and components are decent quality, it should hold up to touring. Especially with a trailer. Yeah, I can see what you mean. I suppose it is more for just messing around kind of rides. Nice design, though. About 14 kg and $9000 US. You know what would make that a hot design? 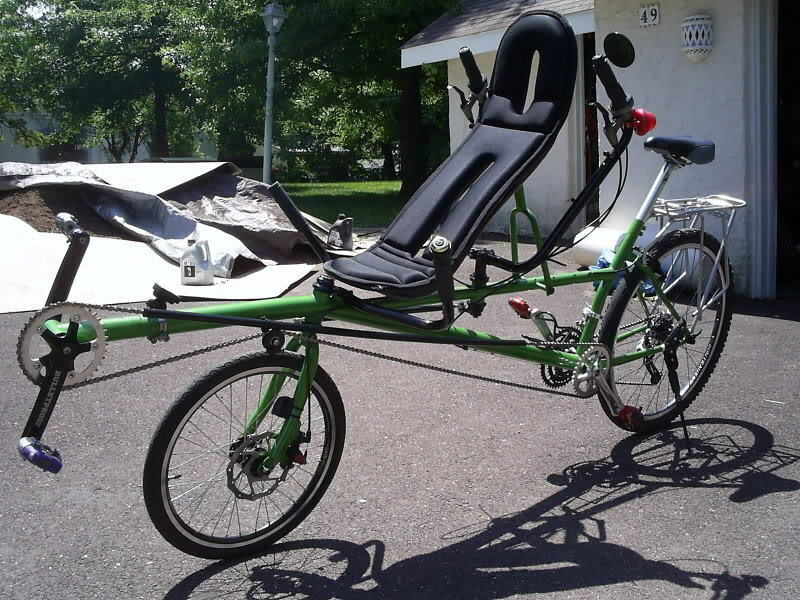 To make the steering for the recumbent rider an option. Yeah. R42Pilot wrote: You know what would make that a hot design? 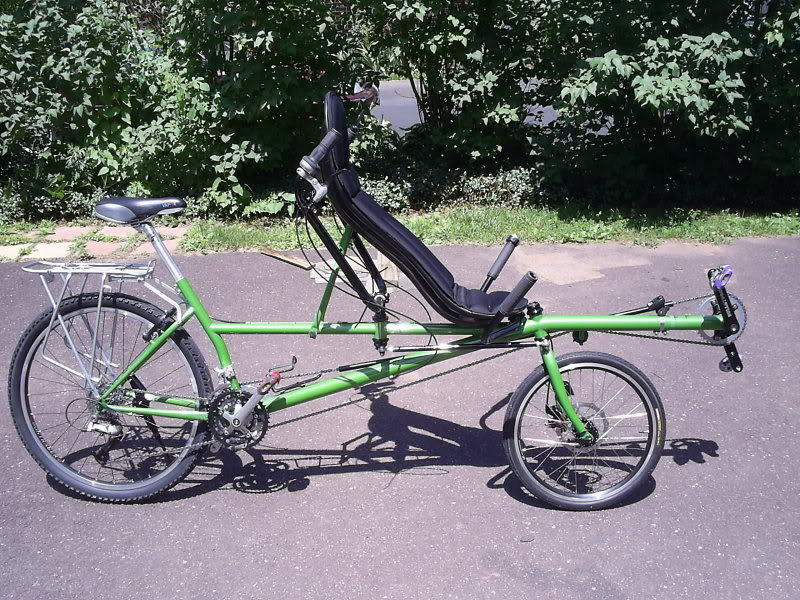 To make the steering for the recumbent rider an option. Yeah. Maybe.... The seat placement makes the steering pretty close to "the boys". It could be done, though, you're right. 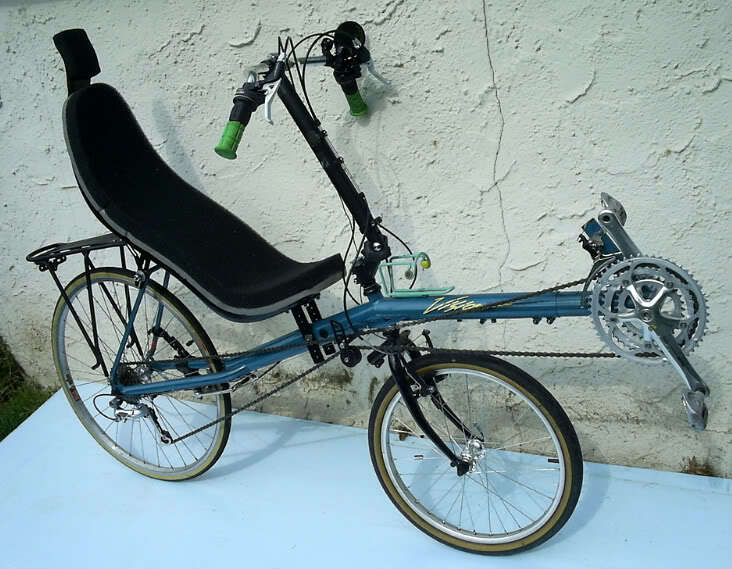 The Pino would be tougher, the head tube is completely under the seat. Raise the front end a couple of inches or less, put a USS fork attachment may work.